You are here: Home / FREEbies / FREE Snowman Synonyms! I have a fun FREEbie for the kids today! 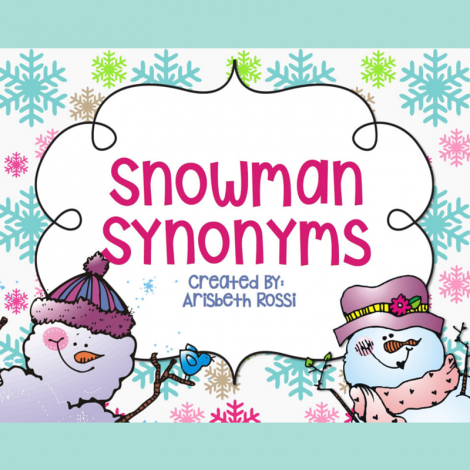 Download these Snowman Synonyms sheets to help teach your kids their synonyms with a fun, wintery-themed activity! I’m downloading this for my daughter. She’s a little young for it right now, but she’ll be ready for it soon, and I’m totally not going to let it slip by since it’s FREE! This winter themed Snowman Synonyms activity is ready to be used as soon as you print, laminate, and cut everything out! It includes instructions, activity cards, and a response/recording sheet.